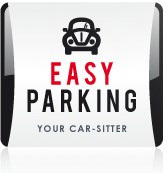 > FAQ> Is it possible to book parking only, without the valet-parking service ? No, that's not possible. Our parking facilities are only accessible by our staff, and we do not offer parking without valet-parking.